Chinese boxthorn, as is indicated by its name, is a native of China. 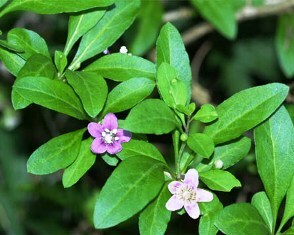 In fact, basically, it is more famous as a tonic herb from China. However, with passing time, it has reached many other parts of the world including Japan, Europe and America and has naturalized there. 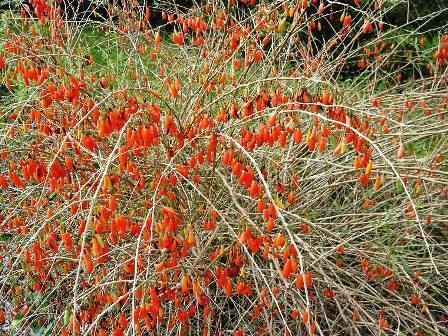 This plant usually grows on slopes, wastelands, saline places, roadsides, near houses. Shrubs erect or sprawling, 0.5-1(-2) m tall; stems much branched; branches pale gray, slender, curved or pendulous, with thorns 0.5-2 cm. Leaves solitary or in clusters of 2-4; leaf blade ovate, rhombic, lanceolate, or linear-lanceolate, 1.5-5 × 0.5-2.5 cm (to 10 × 4 cm in cultivation). Inflorescences solitary or paired flowers on long shoots or fasciculate among leaves on short shoots; Pedicel 1-2 cm. Calyx campanulate, 3-4 mm, 3-5-divided to halfway, lobes densely ciliate; corolla pale purple, 0.9-l.2 cm; tube funnel-form, shorter than or subequaling lobes, lobes pubescent at margin; stamens slightly shorter or longer than corolla, with a villous ring slightly above filament base and adjacent corolla tube. Fruit a berry, ovoid or oblong, 0.7-1.5 cm × 5-8 mm (ca. 2.2 × 1 cm in cultivation), red. 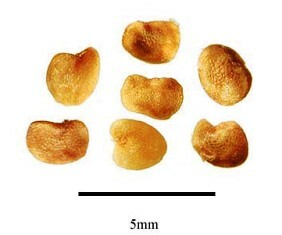 Seeds numerous, yellow, 2.5-3 mm. The fruits are eaten fresh out of hand. These taste sweet with a flavour resembling somewhat like that of anis seed. The fruits are also cooked in soups. The fruits are also dried to be used later. 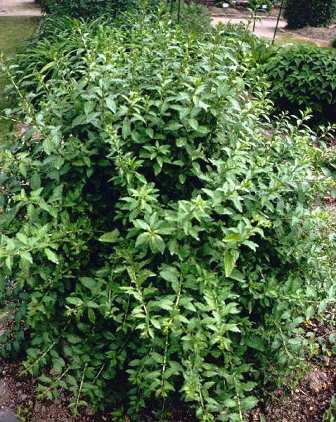 The leaves which have a peppermint like flavour are used in salads or as a pot herb. Roasted seed is a coffee substitute. The dried leaves are a substitute for tea in China. 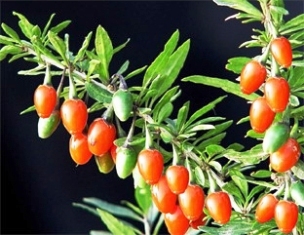 Chinese boxthorn is a major Chinese tonic herb with a history of almost 2,000 years of medicinal use. Nearly every part of this plant is reported to have some medicinal use. This is an easy to grow plant and grows nearly on all locations. It is a very hardy plant and can withstand low temperature upto -23 C.
New plants can be raised from seed as well as from cuttings and root suckers.